I am near ready to buy a new bicycle and commute daily to work by bike. Heck, I live four miles from work – I can do it! Along with researching the best bike for my needs, I searched for bike riding inspiration and found this wonderful short video. 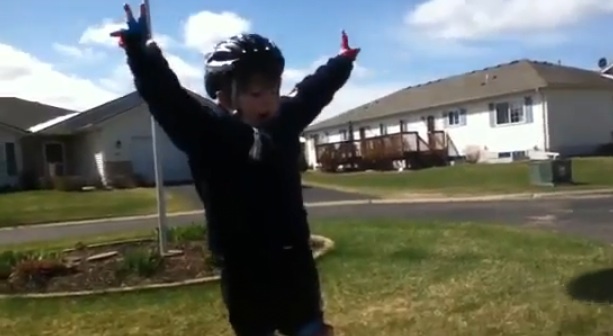 This boy just rode a bike for the first time and his joy and happiness is amazing to watch. Watch the short video. It brings back the joy of riding a bike and more importantly, of being a kid. Book this young man for your next sales or leadership meeting. He will motivate your people as no other.